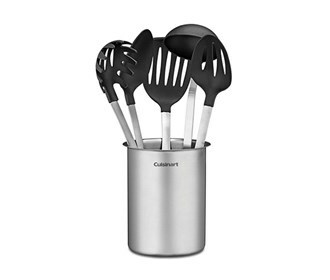 The Cuisinart CTG-00-BSC6 is 6-piece barrel crock with tools cookware set to decorate the kitchen. 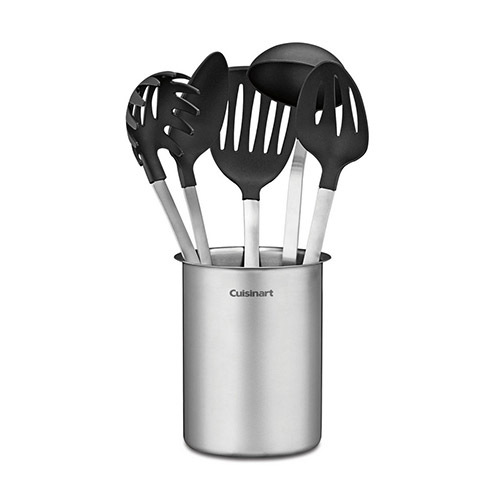 It has 5 pieces Barrel Tool Set and Stainless Steel Crock. The Tools comes with a professional and stylish look. The S/S Crock W/Barrel Tools Set Of 6 has many exciting features for users of all types. See the S/S Crock W/Barrel Tools Set Of 6 gallery images above for more product views. The S/S Crock W/Barrel Tools Set Of 6 is sold as a Brand New Unopened Item.